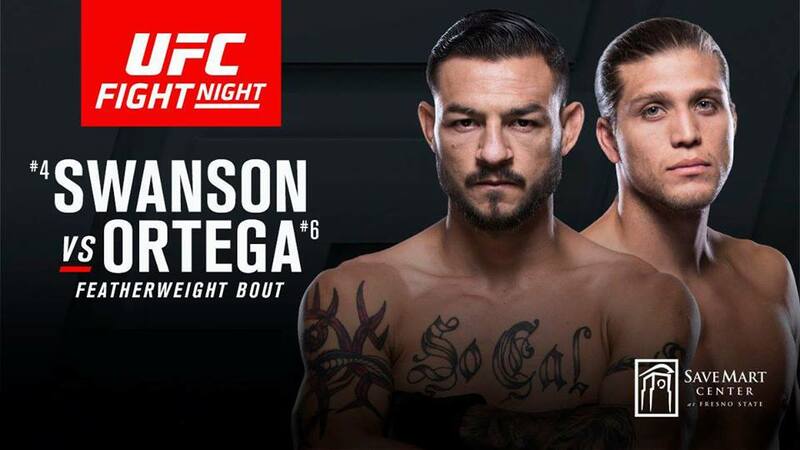 Featherweight contenders Cub Swanson and Brian Ortega will headline UFC Fight Night on Sunday Dec 10. Swanson (25-7) is riding a four-fight win streak and has won 10 of his last 12. He called for a title shot following a five-round decision win over Artem Lobov in April. The 33-year-old has never fought for a UFC championship. Ortega (12-0) is a rising up-and-comer fighting out of Los Angeles. The 26-year-old is 4-0 in UFC, with four finishes. He is coming off a submission win over Renato Carneiro in July.